PrizeRebel is one of the big online rewards and survey sites. But is PrizeRebel legit and a site worth joining, or is it a scam that will not make you any money? I am myself a long-term member of the platform, and in this 2019 PrizeRebel review, you will get all the details about what it really offers. This will make it easy for you to find out if it will be worth it for YOU or not. The review is a bit long as PrizeRebel has a lot to offer, and I want to cover as much as possible and also show you how to use the platform. What is PrizeRebel and what does the site offer? PrizeRebel is one of the big players within online paid survey sites and get-paid-to sites (GPT). It has existed since 2007 and according to their own numbers, it has more than 8 million users and has paid out over $17 million in rewards. In general, it is a good sign when a survey or GPT site has existed for this long and is still going strong. But that in itself is not enough to decide for sure how good a site is. I can, however, reveal right away that PrizeRebel is definitely a legit site. I have been paid by it MANY times myself, and it is one of the GPT sites I have had the most success with. Later in this review, I will also show you payment proof so you can see that I am actually an active member of the platform. This does however not mean it will be the right site for you. So let’s first go over the different earning methods PrizeRebel offers so you can see if it will be for you or not. If you have visited here on PaidFromSurveys.com, you will know that I am a big fan of paid surveys. I find it to be a great way to earn some extra cash and at the same time have your opinion heard. PrizeRebel is one of the sites that offer paid surveys, and you can find a good amount of paid surveys here and it is a great way to earn on PrizeRebel. Once you have logged in, you can go to the “earn” tab and choose surveys or offers. You will then get a list of different survey providers that PrizeRebel is cooperating with and that you can take surveys through. Usually, you will also see an overview of the different survey providers on your dashboard when you log in. PrizeRebel offers quite a lot of paid surveys and good rewards compared to many similar sites. You can find quite a few different survey providers on PrizeRebel and therefore also often many daily chances for doing surveys. So you choose the surveys you think sound interesting and answer the questions. Once you have done the surveys, you will get the reward into your PrizeRebel account. The first time you take surveys, you will be asked for a few profile questions. This is to ensure you are a real person as PrizeRebel, of course, needs to ensure the quality of the participant on their site. The information is only used to match you with surveys and will not be shared with others as PrizeRebel is a trustworthy site. Compared to many similar sites, PrizeRebel is one of the sites that give some of the highest rewards for the time spent for many of the surveys. You can always see the reward you will get before you start a survey. There will also be a time estimate, that tells you how much time you can expect to spend on the survey. This is just an estimate and depends on how fast you are at reading and answering questions. In my case, the estimate for most surveys fits pretty well, and often I am also doing it quite a bit faster than the estimate. But I am also used to doing online surveys, so in the beginning, you should expect to have to spend at least the estimated time. Be aware that the exact number of survey providers and available surveys depends on where you live and your profile. So some places you will see more opportunities than others, but I will get more into this later. Also, as on all other sites that offer paid surveys, you will not qualify for all surveys. That is just a part of taking online surveys. So if you do not qualify for some surveys, do not let that stop you. You will also find many you qualify for. You can find a big section with paid offers on offer walls on PrizeRebel. Offers is some kind of activity you have to complete to get a reward. It is simply said a kind of advertisement by one of PrizeRebel’s partners you have to interact with, and then you will get a reward and are therefore called paid offers. This can be a great and easy way to earn good rewards. Most of the offers require you to register for something like for example a website, and in some cases, it also requires that you will pay an amount – for example for buying a certain product or for a trial of a certain service. Even though this might at first sound annoying and scary, it can really be worth considering. Some of the offer walls you can find on PrizeRebel. Let me give you a few examples why it is worth considering checking out the offer section once in a while. You can, for example, earn a reward by downloading and opening an app, you can earn a reward by registering for a free trial at a website or play a Facebook game. All things that we often do anyway, so why not get paid for it, right? A concrete example of an offer I have once taken was an offer where I could get a $15 reward to sign up for an online betting platform. I had to register at the betting platform and pay a deposit there, but that was only $12 I had to deposit. So for doing that, I would be sure to get a profit of $3 + I got a joining bonus at the betting platform, so I had $25 to bet for there and had the chance to win a lot more – in this case, I did not win extra, as my betting skills are not the best, but the opportunity was there:-). So that is a really good deal, and the offers can, therefore, be a great way to really boost your earnings and at the same time also get some good deals. Just be sure to read the details and conditions for each offer before signing up, so you know what the demands are for you to get your reward. As a part of the offers, you can also often find games you can download and play. I just wanted to give an example of this as well, as this can give you some great extra rewards if you like to play games anyway. There are often small games you can download and just open and play very shortly and you will get a small reward for this. And then there are also some, where you are required to play them to a certain level before you will get the rewards, but these rewards can then also be really good. You can get paid to download and play games through the offer walls. I have for example seen games where you will get $5-6 for installing it and playing it up to a certain level. That is pretty good if you like to play anyway. Also in these cases be sure to check the exact terms on PrizeRebel’s site before you use the offers, so you know what you need to fulfill to get your rewards. As you can see in the image above, the terms are easy to see before you download the games. For many of the games, you, for example, have to open them latest 15 minutes after you have clicked the offer button for it to be registered. This is quite important to know, so read the requirements before signing up. PrizeRebel also offers you to do what is called tasks. It is small online jobs you can do for a reward. The tasks are done through a platform called Figure Eight (previously Crowdlflowre). You can find the tasks by going to the “earn” tab and then choose “tasks”. It can be a number of different little tasks like for example checking a website for links that do not work, checking a website for certain errors, checking citations and much more. PrizeRebel offers paid micro-tasks through Figure Eight. The tasks will not give huge rewards in the beginning. As you do more and build up trust, you will start being offered tasks that pay a better. Be aware that it is important to be accurate and do the tasks correctly if you decide to use this option. If not, you will not get the reward after you finish. With a little patience in the beginning and if you take the time to build up the trust on Figure Eight, it can be a good way to earn some extra cash. Especially because this is an earning method that is available more or less worldwide. PrizeRebel has a big section with videos you can watch and get paid for it. You usually get paid for every 3 videos/ads you watch. There are a lot of different topics you can choose from, so you can definitely find a topic that will be interesting for you. Examples are viral videos, travel videos, science & tech, sport, and health. Some of the video categories you can find on PrizeRebel. There is no limit to how many videos you can watch, which is really great. You will however not get paid a lot for watching them, so you have to go through a lot to earn any real money. However, there is, of course, the option to let the videos run, when you are not using the computer. Many of the videos are actually also pretty interesting to watch, so you might also find them entertaining. But you should not expect to make a big deal of money by watching them. 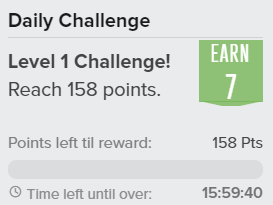 Every day you can see a daily challenge when you log in. You can see it on the left side of your screen if you log in on a desktop computer. It is a time sensitive challenge to reach a certain amount of points that day, and then you will get an extra bonus. You can always see how much time you have left to complete the challenge and how close you are to reaching it. It will not give you huge earnings, but you will automatically participate if you use PrizeRebel actively, and then it is a nice little extra bonus to get. You can use some of your earnings to enter raffles. PrizeRebel has new raffles every week, and usually, the prizes are gift cards for $5-10. It only costs 10 cents per ticket, so it can be a way to multiply your earnings if you are lucky. The raffles are a way to win some nice gift cards if you are lucky. You find this option by going to the “Win” tab in the main menu and choose “Raffles”. You can then see the current raffles, the upcoming raffles, and easily buy tickets for it if you want to participate. Lucky numbers are another way to try to win extra rewards on PrizeRebel. You will buy a lottery ticket and pick 4 numbers. The lucky numbers lottery is a chance to win extra cash. If your numbers match once the draw is made, you will win the jackpot. There is usually a new lottery every week. The tickets only cost 20 points and you can win some good prizes. Especially if you win the jackpot. So if you feel lucky, it might be worth checking out the lucky numbers section. PrizeRebel has a number of different contests you can participate in for free and get the chance to win extra rewards. Some contests you will automatically participate in by having activity on the platform. There is usually every two weeks a contest where the members who are doing the most surveys, most tasks, and the most offers will win extra rewards. Under the “win” tab, you can see the current standing and where you are on the list. An example of a PrizeRebel Facebook contest. Other contests you have to actively participate in. There are quite regularly new contests announced on PrizeRebel’s Facebook and Twitter account. They are very easy to participate in and often you just have to like and comment on Facebook for a chance to win a gift card of somewhere between $5-25. In general, I find these free contests and the chance to win extra with a certain amount of activity very nice and a good chance to get some extra money with little effort. As you can see, PrizeRebel offers a lot of different opportunities, and I must say the opportunities are in general pretty good compared to many other similar websites. Like any other legit survey site, PrizeRebel is free to join and use. 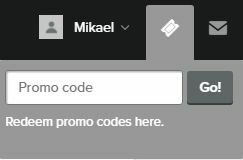 An extra thing worth knowing about PrizeRebel is that it often has promo codes. These are codes that will be announced and then you can use this code once you are logged in, and this will give you some free points. The field where you have to put in the promo codes. It is very easy to do and only takes a few seconds. You just need to know where to find these promo codes. Just keep an eye on the Facebook or Twitter page of PrizeRebel, and the codes will be announced here regularly. Usually, a code is only valid for the same day it is posted, so you have to check the social media regularly if you want to use this option. But if you are regularly checking your social media anyway, it does not take long to check if there is a new promo come. Then when you see a code published, you just copy it and put it into the required field on your account (see image above), and then you will get the free points. A new code is mostly published several times a week (usually 2-3 times), so there are good chances to use this to earn a bit extra without much effort. An important aspect to understand about PrizeRebel is that it has membership levels. That means that you as a user starts at the lowest level, and with activity and earnings, you will be able to get to a higher level, and this will give you more benefits. There are 5 levels starting from bronze (you will start here when you join), silver, gold, platinum, and finally diamond. You will move to silver level already when you have earned 1000 points. And then you can continue up the ladder (see image below). The advantages it will give are that once you reach gold level, your preferred reward will automatically be processed when you have made enough to claim it, and the higher you go, the more bonuses you will get. You will get a higher bonus for inviting friends to join PrizeRebel as you move up through the levels, and will start receiving special bonuses at the end of every month, which will be a percentage of all your earnings. You will also start to get a discount on the rewards you claim. You can see the below image for details about what bonuses you will get at the different levels. I have reached the Diamond level myself (see proof of this later in the article), so I know from experience that you will for sure get these extra bonuses, which are a great way to boost your earnings. The browser add-on is a pretty cool feature PrizeRebel has to make it easy for you to get updates about new opportunities on the platform. It allows you to install an add-on in your browser, that will give you certain notifications and updates about PrizeRebel, so you do not have to log in all the time to check. The add-on will, for example, give you notifications when new surveys are available, and in my opinion, the coolest thing about it is that it will let you know when there are new promo codes, and you can redeem them directly in the add-on. You can install this add-on for your Firefox or Chrome browser to get new updates easily. At the moment the add-on is available for Chrome and Firefox. So if you are using one of these browsers, this can be a great and easy way to stay updated and for example, make sure not to miss any of the promo codes and free points you can get this way. The opportunities and ways to earn is an important aspect of any survey site and reward portal. But another very important aspect is how you will then be able to get your rewards paid out. PrizeRebel has some really good options. First of all, you have the option to get paid through PayPal, which I really like when a survey site offers, as it is a great way to get paid in cash. If you like getting paid in cash, you can also in a few countries get paid through Dwolla, which means you can get your earnings transferred directly into your bank account. It further offers a number of different electronic or physical gift cards to for example Amazon, Skype, Visa, Debenhams, Facebook, and many more. You can also use your rewards to online games like Minecraft or League of Legends. So there are really good options no matter what your preferences are. Some of the rewards you can choose from on PrizeRebel. When you do anything on PrizeRebel, you will earn points that can then be exchanged into one of the rewards mentioned above. 100 points are equivalent of $1. You can request a PayPal payment already when you have earned 500 points ($5), and some gift cards already when you have earned $2. These are really nice low payout threshold compared to many other survey sites. When you join, you can right away earn 25 points by taking a guided tour and fill out your profile, which is a good start, and it will not take you long to reach the payout threshold. How much time does it take to make money? It is really up to you how much time you want to spend. But the more time you use, the more you will of course earn. You can do a few things a day, or you can start doing as much as possible and do all the surveys, tasks and offers you can. Then you will end up spending quite a bit of time, but your earnings will also be higher. The size of the rewards you get in relation to the time spent is about the same as the other survey sites on my top 10 list. PrizeRebel does, however, have some great extra features that make it easy to make a bit extra like the contests, membership levels, and promo codes. PrizeRebel is one of the survey sites where I spend most time myself. As you can see below, I have therefore been able to get the Diamond membership, which is the highest level and gives some great extra bonuses, as I have mentioned before. You need to make $315 to get to that level, and it is definitely possible to get there fairly quickly if you make an effort. So putting in some time on PrizeRebel can definitely be worth it, and it can then make some nice extra money. Proof that I have reached the Diamond membership – putting in some time on PrizeRebel can definitely be worth it. Like with any other survey site and online reward portal, it is important to remember that you will not be able to make a full-time income by being a member. You can make some really nice extra money on PrizeRebel, but do not expect it to make you rich, as you will then be disappointed. 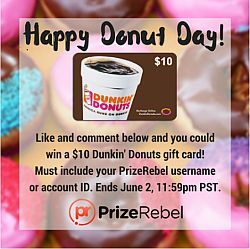 What are the best times to earn on PrizeRebel? In general, PrizeRebel has many daily surveys and other opportunities. But one thing I have noticed is that certain times at the week give better opportunities than others. There are usually fewer opportunities during the weekends than during the weekdays. That does not mean you will not find any opportunities at the weekends, because there are still some. It just means that there will be less. So be aware of this, if you join PrizeRebel during a weekend – there might be fewer opportunities, so make sure to check it during weekdays as well to get the full benefit of the options. Also, surveys, offers, etc. come and go all the time, so just because there are no options when you log in at a certain time, it does not mean there won’t be more opportunities later the same day. I have also noticed that especially around Christmas time or other holiday seasons, PrizeRebel has fewer opportunities. So if you around those times suddenly feel that there are not as many opportunities as usual – do not worry. More offers will come back shortly after the holiday seasons. You can join PrizeRebel from most countries. Not all countries do however have the same amount of opportunities. The most opportunities will be for people living in the US, UK, Australia, and Canada. But you will also find really good opportunities in for example Germany, France, and Singapore, and you can also find great ways to earn on PrizeRebel in many other countries. You can join as long as you are 13 years old. When you are between 13-18 years old, you do however need consent from your guardians. If you run into any issues at a platform you are a member of, it is always nice to be able to have a chance to contact an official support service. Not all survey sites offer great support. How good a support function any site has, tells a lot about the overall credibility and quality of the site. And PrizeRebel has excellent support. I have myself contacted them a couple of times and have gotten a quick and helpful answer. If you look at the social media channels of PrizeRebel, you can see that the support is also very active here. If you have any questions or concerns, they are very quick to get back to you there as well. If you should need support, the best way to contact the support is through the help section on the website. You can then choose a topic you need help with. If it is not answered in the FAQ section, you can submit a ticket. Good support is a very good quality to have for a survey and GPT site, and good to know that you can get support on PrizeRebel if you should need it. From what you have read above, you can probably figure out that PrizeRebel is a legit site and not a scam. I know that from personal experience as I have been paid it many times myself. But let’s sum up the pros and cons to give you a better overview of what it offers before you decide if it is for you or not. Big amount of surveys, tasks, and offers. You can get paid in cash. Great support, if you need it. A lot of extra ways to earn through levels, contests, and promo codes. You will not qualify for all surveys (but that goes for any survey site). In some countries, there are not a lot of opportunities. If you like paid surveys and online rewards portals, PrizeRebel is definitely worth signing up for. Compared to many other similar sites, it has really great opportunities and earning potentials. The only thing you have to be aware of is that it does not offer a huge amount of opportunities in certain parts of the world. But if you live in the US, UK, Canada or Australia, it is definitely a good site to sign up for, but it also has very good opportunities in many other countries. And it is free to sign up for, so it is easy to test it in your own country. How do you sign up for PrizeRebel? It is very easy and fast to join PrizeRebel. Click the button below, and you will be taken to the registration page. There you just have to fill out your email and a few other things. It only takes around 10 seconds and then you can start earning right away. If you have any comments, questions, or have any experiences with PrizeRebel yourself, I would love to hear from you in a comment below. 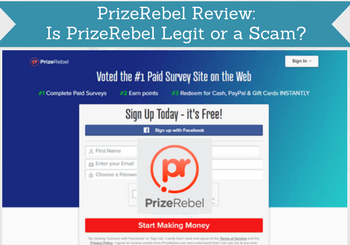 If you like paid surveys and online rewards portals, PrizeRebel is a must to sign up for. It gives a lot of opportunities for earning money, has low payout threshold, you can get paid in cash, and it is a very reliable site that has existed for many years. It has most opportunities if you live in English-speaking countries but you will also find excellent opportunities in many other countries. Thanks for the article. I want to ask if the proof you posted here was your first time to reach the diamond level or you have been cashing out all this while before hitting that point on the screen? At the time of taking the screenshot of my member level, I had already had it for a while and had been paid out by PrizeRebel many times. Once you are a diamond member, you stay a diamond member and keep having the benefits that gives. So you only need to reach that level once and then you stay at that level. Hope this answers your question. If not just let me know. No, not on PrizeRebel. You would need a PayPal account to get your money out in cash in Nigeria. Hi, thanks for a really good guide to Prize Rebel. My sister has recently had a baby and is looking at ways of creating a small additional income while she is at home and I mentioned that there are sites that pay for surveys as well as a range of other things (she didn’t believe me!). If your sister is interested in making money like this online, PrizeRebel is in my opinion definitely one of the sites she should check out. I really don’t mind these survey and ‘Mini task’ sites as most of them are totally legit, you can’t really earn that much through them, but they do pay out without much bother. One question about the surveys though – are they fair surveys, or are they the type of surveys that screen you out after five minutes of answering questions? (I hate it when they do that!). On any survey site there will be surveys you do not qualify for. But I have also tried to take a survey for several minutes just to then be screened out – it can be very frustrating. I cannot say for sure it will never happen on PrizeRebel, but in general you will find out quickly if you qualify for a survey or not. Also, it gives a lot of survey opportunities and it is one of the sites where I have earned the most myself, so definitely one of the sites I recommend. Thanks for making me aware. PrizeRebel used to pay in Bitcoin but does not offer this anymore. As you can see I am also not mentioning it as a payout method here. I have a list of sites that pay out in Bitcoin – PrizeRebel is on this one at the moment, and I have not been aware enough to update this recently. I will remove it from that list as soon as possible. I apologize if it has caused any confusion. Thanks for letting me know, so I can make the updates. Do you mean if you can create surveys instead of taking surveys? This is not possible on PrizeRebel. If you want to be able to create your own surveys or polls and have other members answer them, you can check out a site like Toluna which offers this. To be honest I’m quite skeptical when it comes to online survey programs. I’ve tried a few back in the day and in the end I never made any money. So how long did it took you to get to the Diamond level? If you find the right sites, it is definitely a real way to make some nice extra cash. And PrizeRebel is definitely one of the good options in many countries. Do not remember exactly how long it took me to reach Diamond level. Think maybe around 3 months. Write to PrizeRebel’s support and they will help you fix it. They usually get back to you very quickly. You should be able to sign up for PrizeRebel from Nigeria, but not sure how many opportunities it has. Other than that you should try ClixSense and Toluna. There are so many sites out there that do the survey/paid to play games bit now that it can difficult to know where to start. I thank you for this article about PrizeRebel. I will definitely check them out based on your review. You really addressed all my usual concerns in the article, so I don’t really have any questions. Time to make some money in my fun time, huh? Thanks. Glad the article helped you Brandon. Thanks for the feedback. Seems to me like this is another version of Swagbucks, except that it’s newer. I just want to say that for people who are living outside of the approved region, you are not missing much from this type of online reward sites. I did some of them, but never really earn anything for the sheer fact that they consumed so much of my time clicking and browsing pointlessly on the web. Honestly, I rather invest that time working on a good quality blog that can drive traffic. Thanks for sharing your experiences Cathy. In some ways Swagbucks and PrizeRebel are similar. PrizeRebel is just open to many more countries. Sorry you have had bad experiences with this type of sites before. I have myself earned quite a bit on PrizeRebel, and in my experience it is a great site for earning some extra cash on the side. But if you are looking to make a full-time income, then you are right that your time is better invested somewhere else. But for someone who are interested in just making some extra money on the side and being able to start earning from day one, PrizeRebel is in my experience a great option. Know PrizeRebel has some updates here over this weekend, so maybe that is the reason. So try again in a few hours. Or maybe it is because of the country you live in – can I ask which country you are trying to register from? Sorry to hear this. You should be able to sign up from the Philippines. I have talked to one other person before that however had problems with signing up from there. At that time I talked to PrizeRebel about it, and they said to contact their support. So I would suggest you to do the same. Take a screenshot of the error and send it to their support. They can see if it is an IP error or what is going on. how i get my first survey on triaba… i signup on this site and didn’t get any survey. When did you sign up? Because On Triaba you will not get surveys every day. So after you sign up and have confirmed your email, you cannot do anything else than wait for an email invitation for a survey. If you tell me which country you live in, I will also be happy to come with a few suggestions for survey sites with the more opportunities. Dear Mikael. I live in PAKISTAN. if you know any other sites… pleas tell me.. Some great sites that are available in Pakistan are ClixSense, Superpay.me, Toluna, and YouGov. Hope this helps and you will like some of these sites. I’ll be honest I’ve never heard of prizeeble before, but after reading your review it seems like a pretty legit suevey site. However I don’t think I would join simple due to the fact I don’t like surveys as the amount of time you invest in them doesn’t really give you a whole lot of money. Also they can close at any given point which is not cool either. Quick question though. Which one would you say is better… this or swagbucks? 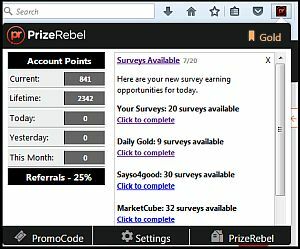 PrizeRebel also gives many other ways to earn than just surveys. It will not make you a full-time income, but with combining surveys and the other options on PrizeRebel, it gives very good chances of earning some extra money compared to many other similar sites. If you join the legit sites, you should not be worried about them closing. PrizeRebel has been around for many years and being afraid of it closing is the same as being afraid of any other company whose service you use will close. It can of course happen, but then you could never join any websites or use any services as that in theory can happen for any company. Also, you can get your money out already when you have earned $5, so you can just make sure always to cash out as soon as you can. PrizeRebel and Swagbucks are similar in some ways, as they both offer many ways to earn. It is very difficult to say which one is the best. PrizeRebel is however available in more countries. If you live in a country where both of them are available, it can definitely be worth considering joining both. Very cool opportunity! I am not a big fan of Surveys because they usually come with an unrealistic threshold… well at least for me it’s unrealistic. PrizeRebel sounds like a cool gig for those who wants to earn extra money online. I’m usually on my phone. How mobile friendly is this? There are some survey sites with high payout thresholds that are difficult to reach, but there are luckily also many with very low payout threshold. One of them is PrizeRebel. You can for example cash out to PayPal already when you have reached $5, which is easy to get to on the site. I am a lot on my phone as well, and I actually do a lot of surveys on it, as it is such a great way to do it whenever I have a bit of extra time. PrizeRebel is great for this, as it is fully mobile optimized and gives a very good experience on the phone. Over Christmas and New Year most survey sites have a lot less offers – this is also why you have not been able to find many on PrizeRebel over that period. This is because many of the research companies that create the surveys and pay for them are also on holiday at that time of the year. However, the survey opportunities on the sites (and on PrizeRebel) have started to pick up again, and over the next week or so, it should be back the normal amount of opportunities. If you completed some surveys you did not get credited for, then you should contact PrizeRebel’s support. They are usually very fast at getting back to you and very helpful. hi there it’s almost mid of the month and I am searching everywhere to get one survey there in nothing in prizerebel. My tickets are also not answering for a fortnight. is prizerebel closing? PrizeRebel now again has plenty of surveys and more where I live and also for many other people I have heard from in other countries. Not yet quite as many, but it is slowly picking up after the New Year. Not sure why you cannot find any at the moment. Maybe they just do not have many research projects in your country at the moment. But if you have had before, I am pretty sure they will be back. Can I ask which country you live in? PrizeRebel is definitely not planning to close. Strange they have not answered your support ticket. Maybe it got lost in the busyness of the new year. I would suggest to write them again. They might, however, not answer if it is a question that has been answered in the FAQ section. You should definitely write their support about that so they can help you out. Please Mikeal – I am form Nigeria. My question is if I can get paid through my bitcoin ewallet? I would prefer if it could pay me as such. PrizeRebel does no longer offer Bitcoin as a payout option, so on this site it is not possible. But Superpay.me, InstaGC, and Timebucks are some sites that offer to pay out to Bitcoin ewallet. ClixSense offers to payout to Tango card, which can be exchanged for Bitcoin, so that site is also an option. So you can check these sites out, if that is the reward you prefer. Thanks a lot. And Won’t there be any difficulty in recieving my points or rewards? For instance if I was to download a game and in the process I was lead out of the original page of prizerebel and after I complete the task, won’t there be any difficulty in getting my reward? Whether you use a mobile or desktop, they will be able to track any offers or tasks you do, so it will not be a problem to get your reward. Hi, i really like your article. It’s well detailed and easy to navigate. My question is can I operate PrizeRebel site with a mobile phone or an opera browser? Because on superpay.me my account was marked as cheater and banned from working just for using an opera browser. Thanks for the feedback on the article. I appreciate that and glad you hear you like it. Yes, you can definitely use PrizeRebel on a mobile phone. I do that every day myself. Also, you can use it on which browser you like. I have never used it on Opera myself, but it should not be a problem. Strange that Superpay.me would ban you for using an Opera browser. Have you tried to contact their support? Because they have very strict demands, but if there has been a mistake the support is very fast at fixing it – I have once been banned myself on Superpay.me because I moved to another country and tried to login, but when I explained the situation to them, they quickly gave me access again. Thanks for making me aware of that error Raj. I have now removed it from the rewards description. This review of PrizeRebel reminds me of ClixSense. Although I made money with them, about $20 withdrawn to my Payza account, I could have earned bigger if I’ve been qualified to more surveys. But since they limit what’s available for the Philippines, I was so disappointed. I noticed PrizeRebel is associated with Paypal and I find that weird. I thought Paypal isn’t okay with “get paid to” sites? And how does this program fare as compared to ClixSense? Which one is better? PayPal is ok with “get paid to” sites and many of them offer PayPal as an option. As I understand it, PayPal is not too fund of PTC (paid to click) sites and ClixSense used to have a lot of this. Maybe that is why PayPal is no longer an option on ClixSense. But if you like PayPal there are many sites that have that option. In some ways PrizeRebel is similar to ClixSense. PrizeRebel does however have more different opportunities to earn and have different membership levels. On both sites the amounts of opportunities will vary from country to country. If you like CrowdFlower tasks, you can do this on both sites, but ClixSense has higher extra bonuses for this. Which one is best depends a lot on what kind of tasks you like to use and in particular what payment method you prefer. Why is it bad to pay to join surveys? What about the ones with affiliate programs? The survey sites that charges you a fee to join are in general not honest. They claim that you can make thousands of dollars with very little work and make a living from doing surveys. You can make some really nice money on the side, but it will not make you rich. The sites claim this to get people to pay a fee to join, but you will not get anything out of it other than in most cases just a list of survey sites that you can find elsewhere for free – and it will not make you the amounts of money these sites claim. The sites that charges a joining fee often have an affiliate program where you will get a commission to get people to join. But that would mean you would have to convince people to pay for a service that is not worth it just to make money yourself. This is not something I will ever make money doing, and not something I recommend. There are plenty of the legit sites where you can also get a commission by inviting people to join. So better to use those sites instead and earn in an honest way and by recommending sites to people that are actually worth joining. Hope this clarifies it for you, and feel free to ask again, if something does not make sense. This is a great review on PrizeRebel, whenever I hear about this type of program I’m always extremely skeptical because the majority of paid survey sites are a scam. It’s good to know that PrizeRebel is legit, however, I will never invest my time in this type of program because I will never be able to make enough money to quit my job. If your goal is to be able to quit your job, you are very right that PrizeRebel or paid surveys in general are not the way to go. It is great for making some extra money on the side, but it will not make you rich. Thank you so much for the information you have provided here. I was looking at prizerebel and really was wondering if they were worth signing up to. Thanks for the feeback Philip. Glad to hear you like the info. Yes it is definitely a shame that there are so many scams online that makes it difficult to know what to trust. PrizeRebel is definitely trustworthy and I have never had problems with it and it is very quick a paying out. Just be aware that how many opportunities that are available depends a lot on the country you live in. But especailly if you live in an English-speaking country it has good opportunities, but also worth it in other countries. Enjoy the site and feel free to keep me updated on how you like it. In the past I have done surveys on and off and know that to make a decent chunk of change you must sign up for a lot of different sites to increase the odds of getting decent paying surveys. In saying that I have never heard of this site before. It looks like it is pretty similar to swagbucks where you have a bunch of different ways to earn. Thanks for the info. Ill be adding Prizerebel to my list! Yes PrizeRebel is in many ways similar to SwagBucks. There are however some differences in the offers they have. But both are good and legit sites to join. Another difference is that SwagBucks is limited to around 7 countries, whereas you can join PrizeRebel from all countries. I looks a little like Swagbucks. By paid surveys do you mean you have to pay to take surveys? How do you think this opportunity compares with Swagbucks? If you have a couple of hours a day on this site how much can you expect to earn? I’m always on the look out for an easy way to make a few more bucks here and there. By paid surveys I mean that you get paid to take surveys. You should never join any site that are charging you to join. PrizeRebel is in many ways similar to SwagBucks. Both of them are great sites, but they have slightly different opportunities and ways to earn, so it can be great to join both. PrizeRebel is however open to all countries whereas SwagBucks is limited to around 7 countries. If you have a couple of hours a day, I would recommend to join several sites as there are not always enough opportunities in one site for several hours. It is very difficult to say how much you could then make as it depends which earning methods you use, and the rewards for surveys also varies from survey to survey depending on the topic. But if you invest that amount of time in survey sites, you will be able to make a nice amount of money on the side. Hope this clarifies it, and just let me know if you have any more questions. Good thorough review. I myself am not a huge fan of paid surveys simply because there is a limit to how much money you can make even if you are on the top level. The only way it is worthwhile is if you do it as a full time gig, about 40 hours per week. i just dont have that sort of time to invest. Thanks for your comment Mubs. Whether it is worth doing paid surveys or other tasks on PrizeRebel or any other survey site really depends on your expectations. Many people are interested in just making some extra money on the side, and then surveys are a great option even with just spending a bit of time every week. It is probably the only way you can make money online that is completely free and does not take any training. It will not make you rich, but for many people it is also nice to just make some extra money on the side. If that is your goal, paid surveys are great. So as I said – it all depends on the expectations and goals whether it is worth it or not. Thanks for the thorough overview of this survey site. I can see how people want to know how much they would make. I look at it this way, if you make only $5 a day x 30 days you have an extra $150 a month. Once you add it up, it becomes more attractive. The question would then be, how many hours does it take to make that $5? I really like the way you sum everything up at the end and give the site a rating. You a very right that just a little every day ads up. Especially if you use several survey sites. It is unfortunately very difficult to say how long it takes to make $5 on PrizeRebel or any survey site. The rewards for the surveys varies quite a bt depending on the specific survey. So some days maybe 20 minutes and other days it could take you an hour. If you use some of the wall offers, you can sometimes find some very good offers that can make you $5-$20 is a few minutes, if you sign you for a free trial on a website offer or similar. So also here it really depends. Hope this clafiries a bit even though I cannot give a more specific answer. Paid surveys are quite interesting. This is a cool one as it offers to be pay you in bitcoin which I think is a great way to build up your bitcoin stash without risking principal or money you can’t afford to lose. I’ve researched many paid survey sites and would just like to ask your estimate on how much money you could earn per hour, thanks! Thanks for your comment Abe. It is difficult to calculate an hourly rate exactly because it depends so much on the specific survey. But in general, you should not go for paid surveys, if you are going for a high hourly rate. It should be done to make some extra money on the side, and do it when it fits into your schedule. And at the same time to have your opinion heard, as that is a great aspect of it as well. So sorry I cannot give a more clear answer other than it can give you some great extra money on the side, if you put in a bit of effort, but do not expect it to give you a high hourly rate or be able to make a living from it. I remember hearing about Prize Rebel about 8 years ago back when I was in the 6th grade. I do not remember how I came across it but I remember just hearing that you can get a bunch of free stuff from there, except I never tried using it because I did not understand it at the time. However, now that I have used many survey sites aside from this one, I am definitely interested in giving this a try considering the amount of stuff this one has to offer as well as bad experiences I had with other survey sites. Although my main money making priority as of now is building an online business, I think this will be good for providing a side income which I could possibly use for my business. It is good to know that they have the option to pay through Paypal as that would probably be the most convenient for me. My question is, what items have you been able to redeem throughout your experience using Prize Rebel? Also, how do you think this compares to other survey sites? Do you feel you earn faster with this site? Great to hear about your experiences Arie. Thanks for sharing. I have only redeemed rewards through PayPal from PrizeRebel – it is the most convenient for me, so have not tried any of the other options. But PayPal has worked perfectly every time, and it goes very fast from requesting a payment until you have the money. I think PrizeRebel is one of the better survey sites, and it is one of my favorites. There are however several of the best sites that in my opinion are very close in relation to how good they are, so it mostly comes down to personal preferences. I do feel that you can earn pretty fast on PrizeRebel compared to many other sites, but there are also sites where you can earn just as fast. It also very much depends where in the world you live as the amount of available opportunities vary from country to country. So some sites might be the best in one country while they do not offer many opportunities in other countries. Hope this helps, and if you decide to join, feel free to let me know how it goes, and how you find PrizeRebel. Very interesting paid survey site indeed. I too have never been a big fan of paid survey sites, just because it is thoughtless boring work with very little reward at the end of the day. I would much rather be doing something that makes me think, something that I enjoy, something that can help people, and also can have a great reward. Do you know on average how much you can expect to make from this site though in a day / week? I have to mention that it is in my opinion not correct that surveys do not help people – surveys are actually a great way to have your opinion heard and influence both governments and companies. They listen to the results coming from surveys – if not, they would not pay to have them made. So answering surveys can actually be very meaningful. Especially if you join the good sites that have surveys about relevant topics. It is very difficult to answer your question about how much you can make in a day on PrizeRebel. It depends on so many different things. First of all it depends on the country you live in, and then of course on how much time you spend. But if you live in a country with good opportunities, you can make everything from $2-$50. I would say that mostly you will not get to $50 unless you are lucky that where you live have really good opportunities. But without too much effort you can easily make $5-$20 a day on PrizeRebel, and if you the join several survey sites, it can quickly add up. Your review on PrizeRebel is magnificent. I’m not a big fan of paid surveys, but definitely interested. I have a friend who loves paid surveys because he finds them interesting. Thanks for the feedback Eric. And great to hear you will share the website with your friends – I appreciate it. As I mention, paid surveys are a great and very easy way to make some money on the side, and if this is what you are looking for it is probably the best and easiest way. But if you are looking for a way to make a living online, it will not be worth your time. So it depends why you are interested in making money online, and what you are looking for. Thanks for your comment Erik. Luckily there are many survey sites that are not scams. Some give better opportunities than others, but in general you can recognize the scams because they are trying to charge you a joining fee. All legit survey sites are free to join. How high the rewards on PrizeRebel are depends on the task/surveys. Some will give you for example 20 cents but also take a very short time, and some surveys will give up to a couple of dollars. There are also some offers that can give up to for example $20. So it very much depends on the survey or offer and how much time and effort it takes. prize rebel sounds like an awesome way of enhancing your income. You may not get rich but it is a legitimate way of boosting your income, nonetheless. I like the fact that I can earn some cash by playing games considering the fact that I am a passionate gamer. I also like the fact that the payment threshold is low. This makes the whole process much more interesting as I can come back to PrizeRebel whenever I want, earn some cash and leave. Really great. Thanks for your comment John. Glad you liked the info. Hope you will enjoy PrizeRebel and the games there, if you decide to join. Thanks for analyzing Prizerebel in so much detail. You made it really easy to understand all the features it provides. It seems to be a legit opportunity for online surveys. However, isn’t the potential of making money with surveys too low?Just my two cents! Would love to hear your thoughts on this one! Thanks for your comment Antonis. If the potential with paid surveys is too low really depends on your expectations. If your goal is to make a living online or become rich, then surveys are not a valid way. But if you just want some extra money on the side it is in my opinion one of the easiest ways to do this. You can start without any training, there is no investment, and you will make a profit from day one. So in my opinion paid surveys are a great way to make some extra money and there are good potentials, if you join the best sites. I love this review on PrizeRebel. I must admit that I don’t know much when it comes to reviewing sites and this review has really given me a lot of important information. I didn’t even think it is possible to play games online and earn money from that. All the ways you have listed here make a lot of sense to me and I would like to try it myself and see how it works. Thank you for your comment and feedback. Glad to hear you find the info useful. For a newbie, paid surveys is definitely easy to get started with. It is just important to remember that it will not be something you as such can do as a job. Paid surveys can give some nice extra money on the side, but you should not expect to make a living from it. But one of the greatest things about paid surveys is that anyone can do it, and you can start making a profit from day 1, and there will never be any investment, if you just stick to the legit sites. So in that way I would say that it definitely fits for a newbie, but it depends a lot on your expectations. If you want to become rich online, paid surveys are not the way, but it is a very safe way to make some extra money. Price Rebel sounds like a legit opportunity to earn some extra income online. The only thing that bothers me is the fact that the payouts are rather small. I don’t see any opportunity to earn a good amount of cash. But I guess completing surveys is not the most difficult thing in the world either, right? Thanks for your comment. You are right that doing paid surveys is not going to make you rich whether you use PrizeRebel or any other survey site, but if you join the good sites, you can make a good amount of money on the side. So it depends what your goal is. And you are right that surveys are a very easy way to make money online. For me on of the greatest things about paid surveys is that everyone can do it, that there is no risk and no investment at all, and that is quite unique for online money making opportunities. But if you are looking for a way to make you rich online, paid surveys are not the way to go, which I also always make sure to make people aware in my reviews. With the right expectations, paid surveys can be a great opportunity. Thanks for your thorough review Mikael. This looks like a promising opportunity for a paid survey site. By paid survey do you mean that you have to pay to be a member of this survey site? This sounds similar to Swagbucks which is free to join. What is your opinion on Swagbucks as compared to prize rebel? Thanks for your comment SJ. By paid survey site I mean that YOU will get paid to answer surveys. PrizeRebel is 100% free to join and use. All legit survey sites are free to join. And you are right that it in many ways are similar to SwagBucks, which is another of my favorite survey sites. There are some small differences in what they offer in terms of ways of earning and their bonus systems. For example does PrizeRebel have different membership levels, where you will get more benefits the more you earn. You can also join PrizeRebel no matter where in the world you live, even though there is a difference in how many opportunities you have depending on where you live. SwagBucks only allows members from US, UK, Canada, Australia, Ireland, Germany and France. But other than that, the two sites have many similatities, and they are both definitely worth joining, if you live in the countries where they are available. I was interested in PrizeRebel but it is not feasible for my country. I live in the Caribbean so even if i sign up there will not be enough surveys available for my country. Are there any other legit ways to make money online that you can suggest? No PrizeRebel might not give a lot of options in your country. But it can be worth giving it a try and see exactly how many options that are in your country. It is free to sign up, and you can quickly see if there are any options for you. As for other options: when it comes to surveys, I wpuld suggest you to give ClixSense a try. It has good options on many countries. Getting rewards to sign up for a betting site, investing a part of it and making profit and still have the chance to win by betting the joining bonus is an eye opener and a really good tip. Also the warning to check the exact terms when downloading and playing games and only by reaching certain levels you will get the payment is great to know. The low threshold payment of $5 (for 500 points) and $2 for gift cards is definitely an attractive feature for joining PrizeRebel. How do I know if it offers a huge amount of opportunities in India, like it does in UK, USA Canada and Australia? Thanks for your comment and feedback. Glad you found the info useful. PrizeRebel will not give you a huge amount of opportunities in India unfortunately as it is not the primary market for that site. But there might still be some opportunities, but to find out exactly how many, you have to join and see for yourself, as I am not from India, and therefore do not know for sure. And feel free to let me know how the opportunities are from India, if you decide to join, as I would love to know so I can include it in my review and when advising others. I’m always interested in new ways to earn a little bit of money or earn gift cards. This sounds like a legitimate site for getting paid for surveys. I like that it has a low dollar threshold for getting paid out, it seems like a lot of sites I’ve used have a pay out of $25 or even $50, which takes a long time to get to that point. You always have to weight the pros and cons of taking the time to do the survey and the amount you get paid. It’s an individual choice, but at least there are a lot of sites that offer you an opportunity to make some money. Thank you for sharing! I also personallu prefer when survey sites has a low payout threshold. It makes it more motivating. People don’t like survey websites for whatever reason, but if you find the right companies you can actually earn a descent amount of rainy day money. And the key is to work multiple survey websites at once, so once all your good surveys are done on one website, you can work on another website so you can keep the flow going, so at about the end of the month, you can have a couple of little survey checks coming in. Thanks for your comment Tomas. Really great advice. Definitely a good idea to sign up for several sites, as it can vary how many opportunities there are on the different days. I also hear some people talk bad about surveys. Most often it seems to be people that are expecting to become rich from surveys, and then become disappointed when it does not happen. But if you know that it will not make you rich and you like sharing your opinion, I think it is the best way to make some nice extra cash without any risk or investment. I’ve tried several survey sites and they all take so much time. It usually takes me twice as long as what they say it takes to finish one. It seems that the contests most of these sites offer are just a way to take your points rather than give you more. But, I have never been very lucky. So, what would be your number one recommendation for paid survey sites? Sorry to hear you have not had so good experiences with paid surveys. About the time it takes, it can be done a lot faster. Once you figure out how surveys work, it will not take that long. It most often takes me quite a lot less time than is estiamated to do a survey- I have written an article about how to do surveys faster you can check out, if you want to know more about my approach. Many survey sites actually have good, free contests. As you can read from the above, the contests at PrizeRebel are free and very easy to participate in, so they can be a great way to get some extra prizes, and is not a way to take your points as you describe it is at some sites. PrizeRebel is one of the top survey sites, so if you live in one of the countries where they offer the most opportunities, it is worth checking out. Other than that, you can check out my top 10 list from the menu. Wow, it has been long since I heard of a legit survey site.Prizerebel really did surprise me. I like the fact that there are so many avenues in which one can choose in order to earn rewards and the plus factor that Prizerebel is free to join. I am disappointed about the fact that Prizerebel does not allow anyone from my country to participate. I am residing in South Africa. Do you recommend another survey site for me? Yes PrizeRebel is one of the best survey sites and one of my favourites because it has so many opportunities. PrizeRebel does accept members from most countries so the might also accept from South Africa. But I do not know how many opportunities there will be there, as most of them are for people in mentioned countries. But many other countries still have some opportunities. If you can not join or it does not offer any opportunities in your country, I would suggest to check out ClixSense. That is also a very good site and gives good opportunities to most countries. When you are making a decision as to whether to choose a survey site, do you set a goal as to the potential earnings and the amount of time it will take to make those earnings? I have looked into paid surveys before but the payouts were small for the amount of time invested. When you have choices it is an easy decision, but when you are in real need it’s an option. Paypal is always a confidence booster and the low payout thresholds are encouraging. Thanks for sharing. I do not set a goal before joining a survey site. I am interested in testing as many as possible to find the best ones, and then also share that info here on my website. The good ones I then stick to, and the others I just stop using. And when doing surveys it should not be to calculate have high an hourly rate you can make. That is not the purpose of paid surveys. You can earn some nice extra cash and at the same time have a chance to have your opinion heard. It is for those reasons you should choose to join and do surveys, and not to make a high hourly rate.